Greetings, Fangirls! If you recall, I just read & fell in love with Bryan Lee O’Malley’s most recent comic Seconds. The book was incredible, but also made me pretty damn hungry. I figured with the story’s focus on mushrooms, it was only appropriate to whip some shroomtastic meal to scarf up. Enter these bad boys. About 20 mushrooms. 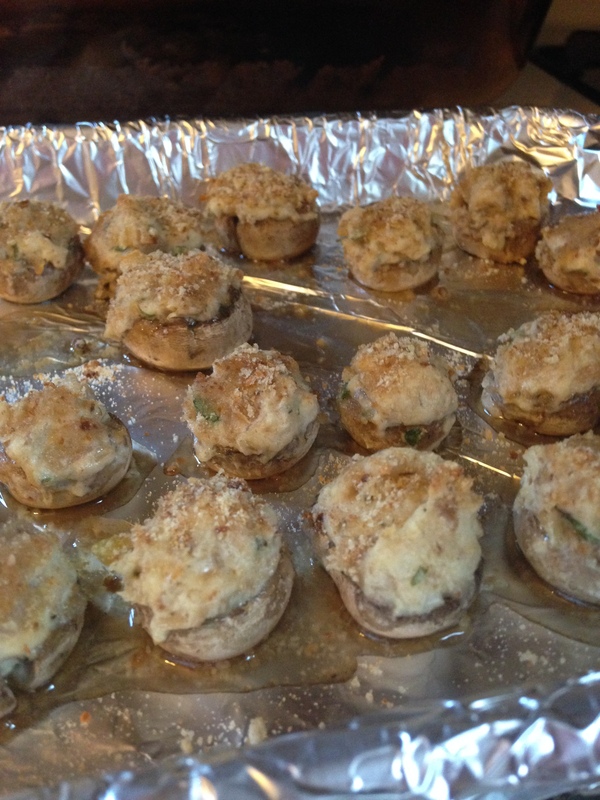 I believe the ones I used were cremini mushrooms. You just need ones with good sized heads and stems that you can remove. 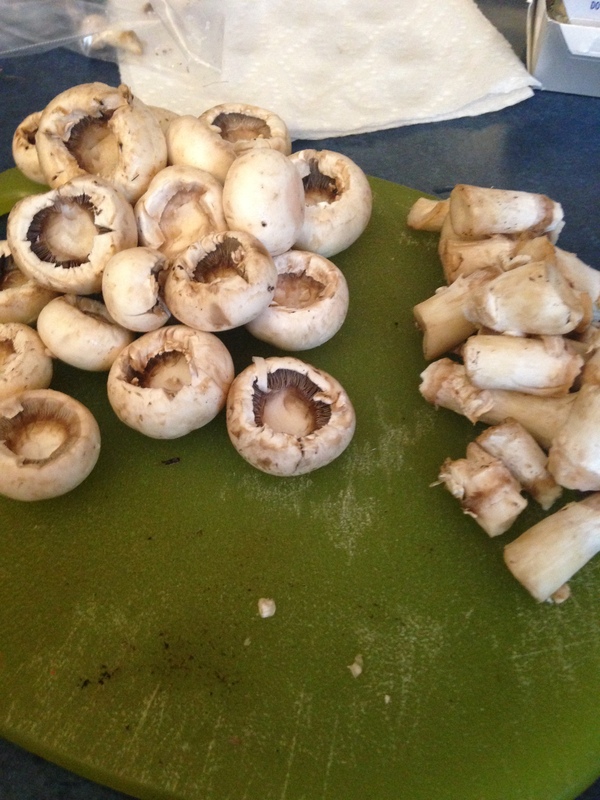 First, remove the stems from your mushrooms. Actually, preheat your oven to 350, then do that. Then, just take a small knife and cut around the perimeter of the stem down into the cap, so that when you remove it there is a nice little hole to put the goods in. Put the stems aside. 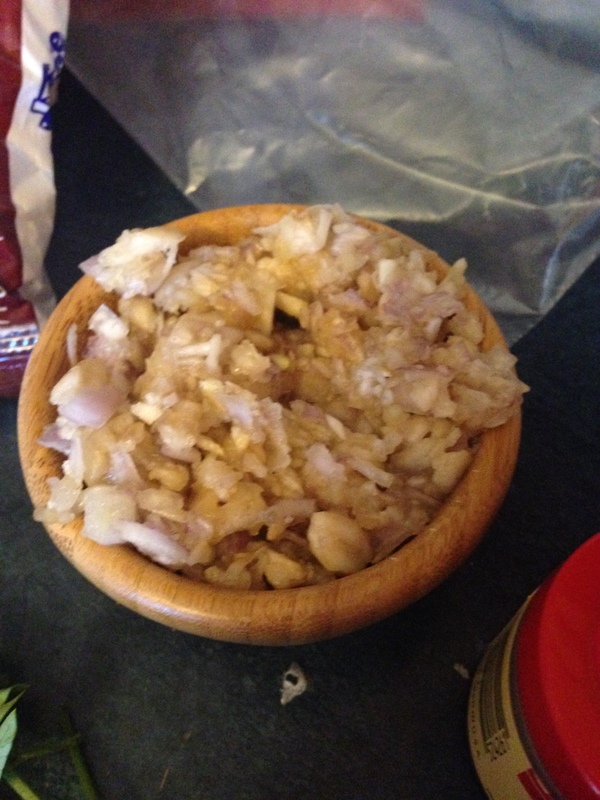 Now, chop your shallot and garlic, then add them to a food processor with the stems of the shrooms. Pulse that until it’s all nice & pretty fine. To a skillet on medium high heat, add your olive oil. 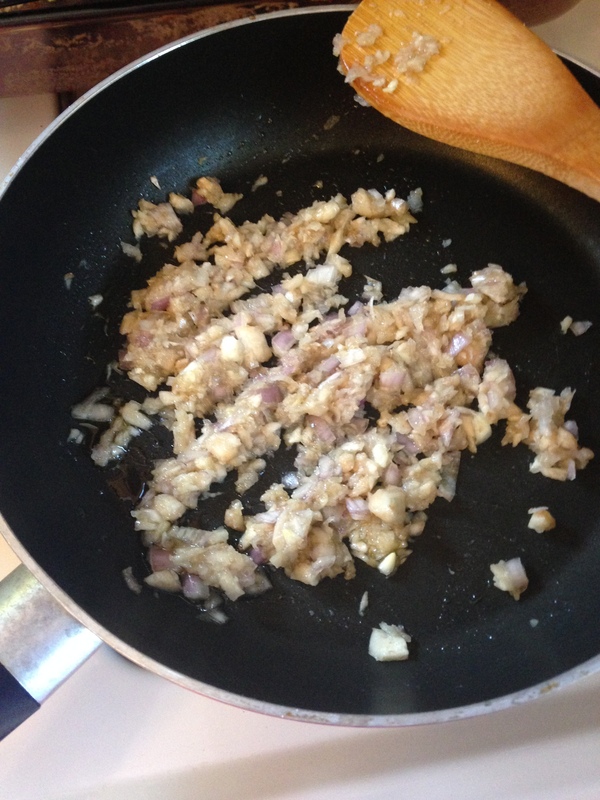 After that warms for a minute, add your shallot mixture. Let that cook until the shallots are mostly cooked and the mushrooms start to brown, which is about 5 minutes. Once that happens, add in your wine. Let that simmer until the wine cooks out. Then, set it aside to cool slightly. Meanwhile, prepare your cheesy goodness. 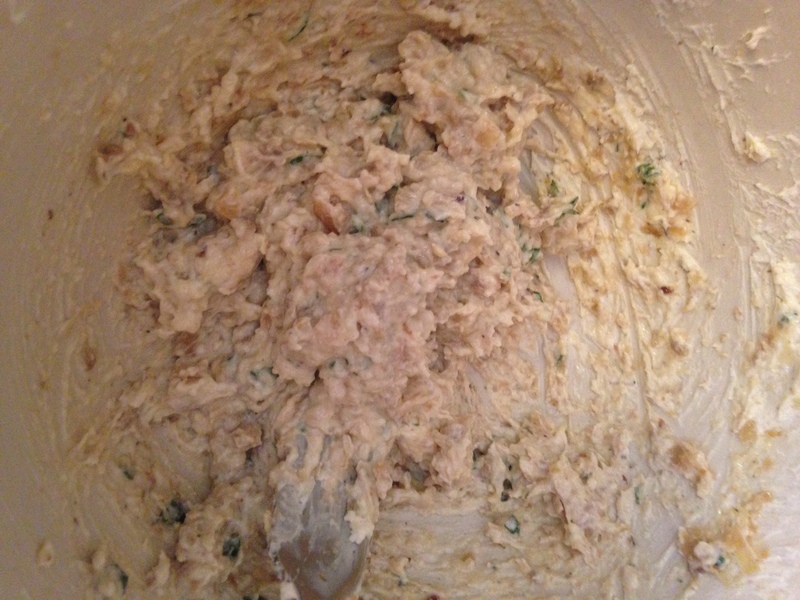 To you cream cheese in a bowl, add the Parmesan cheese, walnuts, parsley, thyme, and salt & pepper. Mix that all up good. Once your shallot mixture has cooled a bit, add that to the cheese and combine well. Then its time to stuff some shrooms. First, line a small cooking sheet with tin foil. Then, take a mushroom and spoon in some of the filling to where a little bit comes out the top. Once those babes are all full and on the cooking sheet, top them with some bread crumbs. When they’re all nice & topped, pop them in the oven for about 20 minutes! When they’re done, the mushrooms will start to leak out some water. Bada bing! 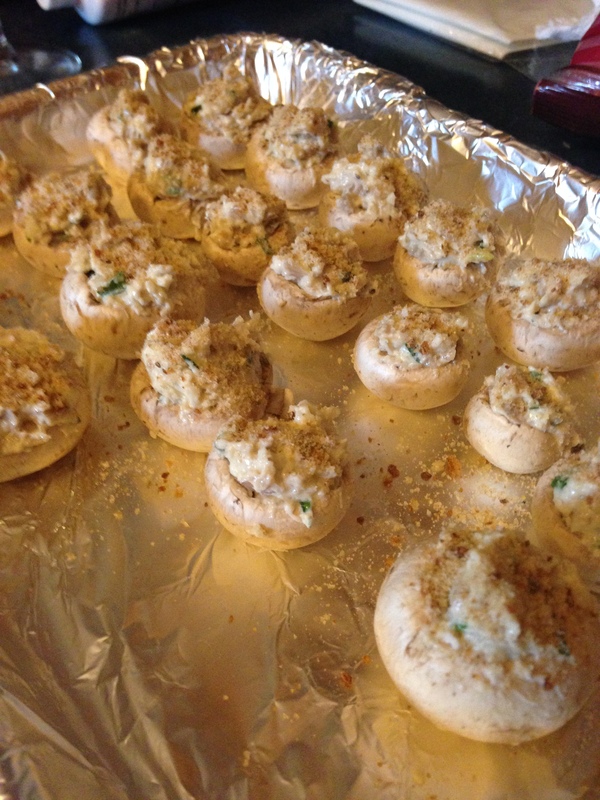 You have tasty stuffed mushrooms. 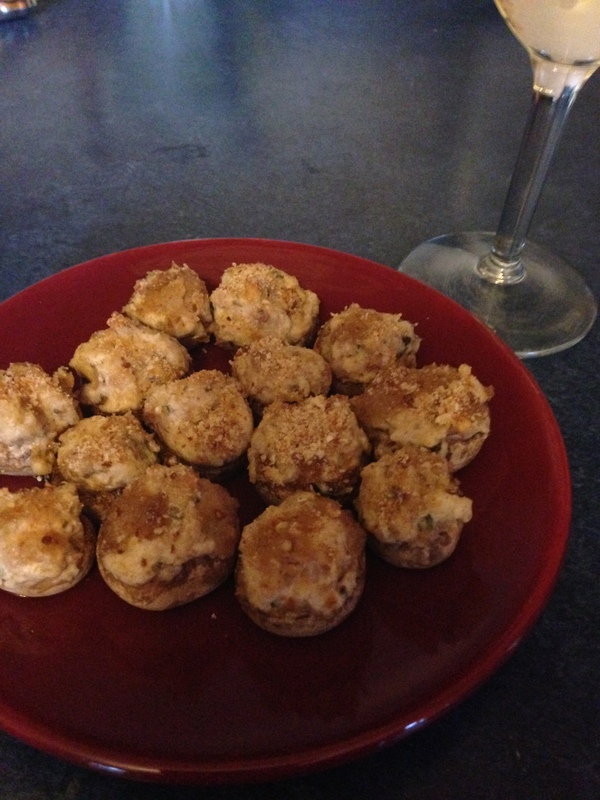 These are a great hors d’oeuvres, and only take about a half hour to make! Quick and tasty, the best way to cook. Eat up, Fangirls! Don’t worry, they don’t require that you correct your mistakes and create another universe with another you and cause a whole lot of problems with house spirits or anything. They just taste nice.